Holden Forests & Gardens is one of Northeast Ohio’s largest and most important cultural and environmental institutions. It is comprised of two campuses, the urban Cleveland Botanical Garden campus located in Cleveland’s University Circle and the rural Holden Arboretum campus located in Kirtland. 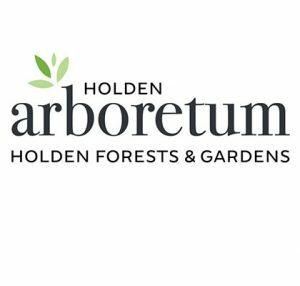 We are seeking a Chief of Police to lead the HF&G Police Department at the Holden Arboretum campus. Reporting to the CEO, the Chief of Police is responsible for ensuring the safety of guests, staff, and volunteers through leading and supervising a department focused on law enforcement, safety, and customer service. This position will also be responsible for the oversight, development, and implementation of departmental policies and procedures, emergency preparedness, and safety training. Additionally, the Chief of Police will administer a wildlife management program in collaboration with local and organizational conservation practices. This position works closely with the Head of Security at the Cleveland Botanical Garden to support consistent safety and security practices across the organization. Bachelor’s degrees required. Certifications from PEALS, PELC, CLEE, or from the FBI National academy can be substituted for degrees. Able to pass an extensive background investigation which includes work history, education, reference checks, driving record, criminal history, credit history, and drug screen. Candidate may also be required to pass a medical and psychological exam. Works in various settings to include inside an office and outside patrolling the grounds by foot, bike, motor vehicle or other motorized vehicles. Ability to work outside (12) months of year in all weather conditions. Must be able to walk over uneven terrain, ability to sit, stand or walk for long periods of time, may work alone, and may be exposed to violent situations.